For Mother’s Day, the Hubs got me a CD about drawing portraits. I’m really a novice and many times I can’t tell if I’ve drawn a nose or a beetle. I have a lot to learn. Don’t believe me? 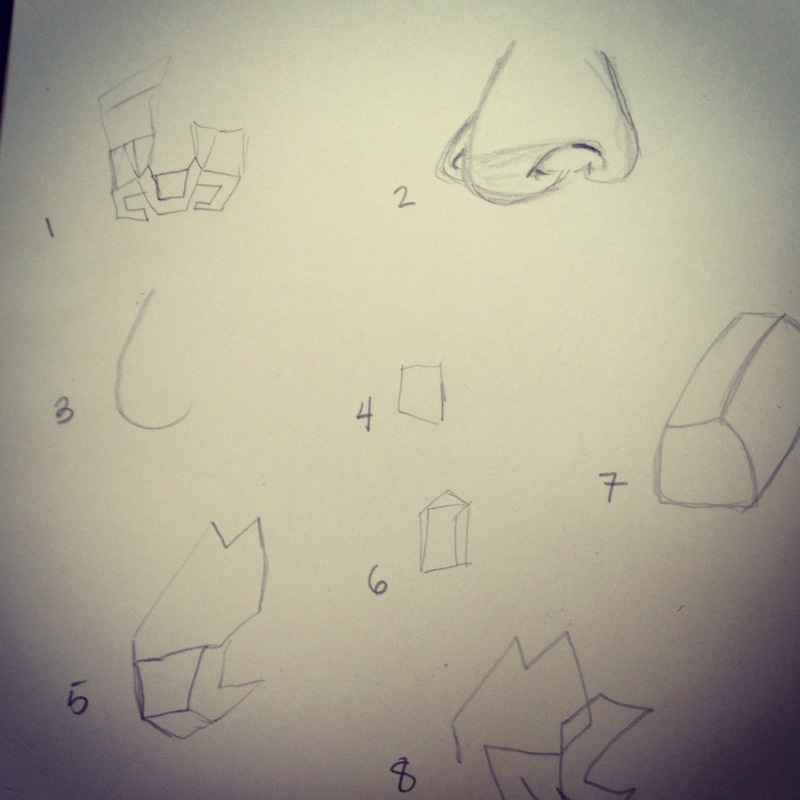 Check out these noses I attempted to draw recently. Yes, those are all noses I’ve drawn. Yep. Ok, now that you’re done laughing, the one thing that has struck me through the drawing process is the truth found in Scripture that we are fearfully and wonderfully made. The Lord took great time in carefully crafting each one of our features and parts. Even if I can’t draw them yet, I need to honor my body. 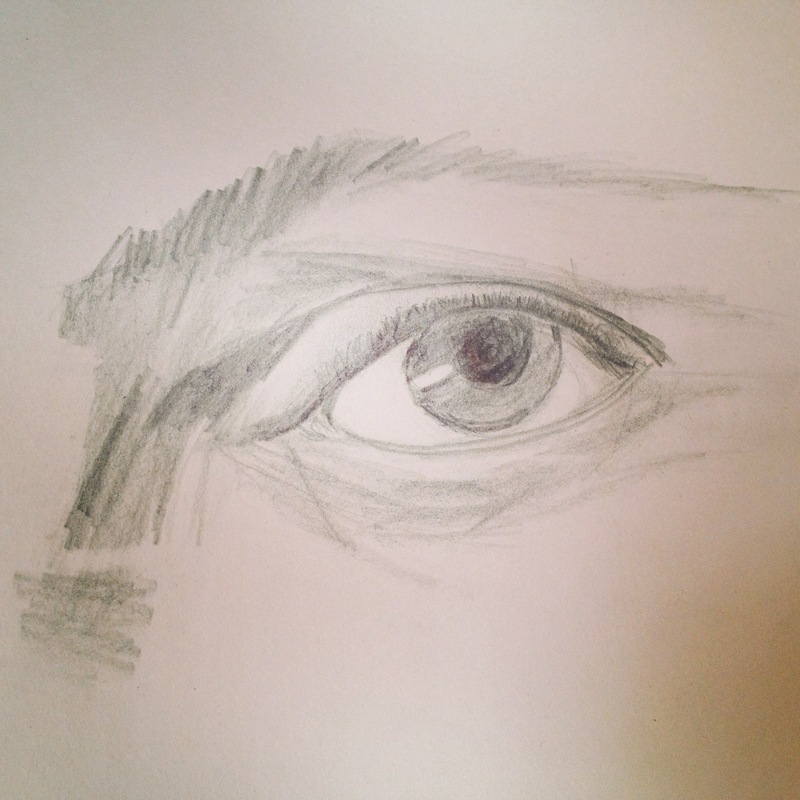 The lessons on drawing have made me look at my own face with curiosity and occasional, very occasional appreciation. Somehow this all coincides with me learning more about the chemicals and ingredients commonly in cosmetics and cleaning solutions. I want to be more intentional about taking care of myself and my guys. If you wouldn’t put it in your body, why put it on your body is a good adage that I first read in Not Just a Pretty Face. Quite honestly, there’s a ton of crud in our cosmetics and most of us are too trusting of the cosmetics industry. They do not have our best interests in mind. It pays to think a little more about the things that I use on my skin. 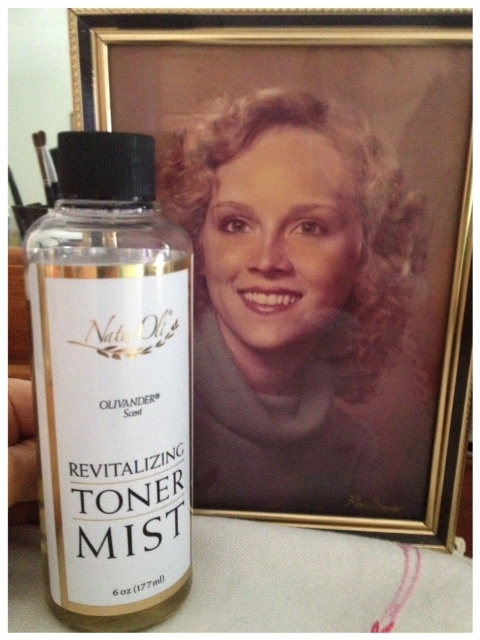 This is why I’m a big fan of NaturOli’s New Radiance Facial Creme, Restorative Skin Repair Creme and Revitalizing Toner Mist. Fresh – I’m not a fancy girl but I am a fresh one! 😉 NaturOli’s products are batched in very small number to ensure freshness that sounds good to me. No skin care has an infinite shelf life unless there are a bunch of chemical preservatives. Why this is important – FDA has no authority to require recalls of harmful cosmetics. Furthermore, manufacturers are not required to report cosmetics-related injuries to the agency. FDA relies on companies to report injuries voluntarily (FDA 2005). NaturOli’s skin care line is corn-free, soy-free and gluten- free. Many people have corn allergies and there is growing concern about GMOs (genetically modified). Un- fortunately corn is a common byproduct in skin care because it is cheap. Corn clogs pores and can irritate skin beyond belief. If you are interested in natural skin care, stay away from corn by-products. Did you know? Federal law allows companies to leave many chemicals off labels, including nanomaterials, ingredients considered trade secrets, and components of fragrance (Houlihan 2008). Fragrance may include any of 3,163 different chemicals (IFRA 2010), none of which are required to be listed on labels. Fragrance tests reveal an average of 14 hidden compounds per formulation, including potential hormone disruptors and diethyl phthalate, a compound linked to sperm damage (EWG & CSC, 2010). Olive oil – NaturOli uses only the best ingredients including olive oil – found in ALL of their products. It is the basis for the entire skin care line and olive oil’s benefits far outweigh that of corn. As the mama of three olive shoots, I’m very fond of all things OLIVE! In addition to olive oil, there are avocado and sesame seed oils, horsetail extract and Vitamin E which contain powerful antioxidants that protect, moisturize, restore and regenerate skin. Then there’s shea butter which is rich in vitamins and minerals, gives tone and suppleness while promoting skin renewal. A little goes a long way – NaturOli’s cremes and skin care do not contain fillers nor are they watered down. Just a couple of pumps of the cremes are plenty for my face and neck. Senior pic from high school! Gotta keep looking fresh! Smells good – The Revitalizing Toner Mist has lovely notes of Japanese green tea extract, mandarin orange oil and the essential oils of lavender and chamomile. 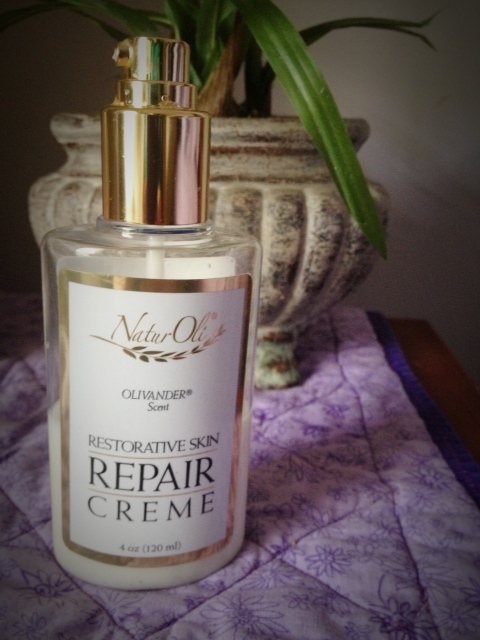 I like the light fragrance of sage, marigold, tea tree oil and rose hips found in the Restorative Skin Repair Creme. New Radiance Face Creme feels indulgent with the evening primrose oil, rosemary extract and the hyaluronic acid, a potent natural ultra-moisturizing agent, the skin’s natural hydrator. There’s even a purse size mister if you want a little spritz of freshness, you know just in case someone wants to draw your portrait! There is a trial size of the Restorative Skin Repair Creme, click here. Save 17% on the entire skin care collection here. If I am to believe that I am God’s masterpiece, I need to pay attention and take care. So do you!